ASUS today announced permanent price reductions for 7 finest Zenfones namely ZenFone 3 (5.2, 5.5), ZenFone Max, ZenFone 3 Max (5.2, 5.5) and ZenFone Go (5.0, 5.5). The price reduction will be across all major e-Commerce sites like Flipkart, Amazon, Snapdeal and leading Retail Stores including Asus Exclusive Stores across India. With a view to make Smartphones appealing for a larger segment of market, ASUS, the Taiwanese leader in mobile technology, today announced permanent price reductions for 7 finest ZenFones namely ZenFone 3 (5.2, 5.5), ZenFone Max, ZenFone 3 Max (5.2, 5.5) and ZenFone Go (5.0, 5.5). ZenFone 3, ASUS’ most stunning and superior performance smartphone is powered by 2.0 GHz octa-core Qualcomm Snapdragon 625 processor along with 3GB RAM / 32GB Memory (5.2”) / 4GB RAM / 64GB Memory (5.5”). The smartphone is packed with great 16MP/8MP (rear and front) PixelMaster 3.0 Camera with real tone Dual LED Flash. Equipped with the latest Sony® IMX298 sensor, six-element Largan lens with a large f/2.0 aperture, and subject-tracking TriTech auto-focus, OIS and EIS for shake free photos and videos respectively. Zenfone 3 also has a built-in rear fingerprint sensor that unlocks the phone in as quickly as 0.2 seconds. Zenfone 3’s stunning body has 2.5D Corning Gorilla Glass on both front and back side. ZenFone 3 5.2” (ZE520KL) which was priced at INR 13,999 is now available for INR 11,999.ZenFone 3 5.5” (ZE552KL) which was priced at INR 16,999 is now available for INR 14,999. Zenfone 3 Max models respectively feature extraordinary 16MP/8MP (5.5) and 13MP/5MP (5.2) cameras with Super Resolution which captures multiple shots simultaneously for a single photograph with stunning 64MP (5.5)/ 52MP (5.2) detail. With its powerful 4100mAh battery Zenfone 3 Max allows extended use of the phone with up to 2 days. Powered by 64-bit octa-core processor (5.5) and 64-bit quad-core processor (5.2) Zenfone 3 Max models deliver outstanding mobile performance. Zenfone 3 Max Models also have a built-in rear fingerprint sensor that unlocks the phone quickly. The Models come in stunning Metal body and have 2.5D Glass. ZenFone 3 Max 5.2 (ZC520TL) which was priced at INR 9,999 is now available for INR 8,499. 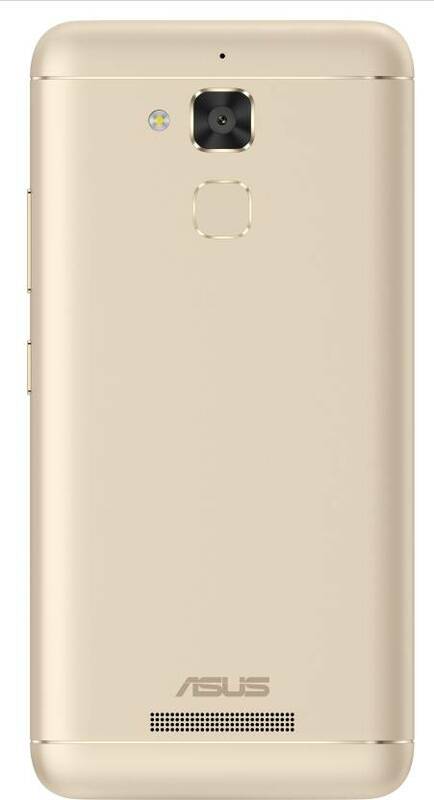 ZenFone 3 Max 5.5 (ZC553KL) which was priced at INR 12,999 is now available for INR 9,999. ZenFone Max (ZC550KL) is now available for INR 7,499, which was earlier priced at INR 7,999. Designed for the budget segment, ZenFone Go is the perfect first device for first-time buyers, upgrading from feature phone to smartphones. ZenFone Go is powered by Qualcomm Quad Core processor and it comes with 2GB/32GB (5.5”) / 2GB/16GB (5.0”). ZenFone Go runs on Android 6.0 and is powered by a 3000mAh (5.5”) and 2600mAh (5.2”) battery. The smartphones come with a 13-megapixel primary camera on the rear and a 5-megapixel front shooter for selfies. ZenFone Go comes with a triple-slot tray that accepts two SIM cards for dual data connections. The price reduction will be across all major e-commerce sites like Flipkart, Amazon and leading retail stores including Asus Exclusive Stores across India.